Telecommunications have changed dramatically in the past 15 years. Mobile phones are now the standard while landlines are relied upon less often, especially by most people at home. These users, however, still often keep a landline if for no other reason that they’ve always had it and it can feel odd to think about getting rid of it. Additionally, there are real reasons to be concerned about letting go of a phone number that you’ve had for many years. Will everyone who needs to get a hold of you be able to do so? Will you miss out on some important calls? Now, however, there are new ways to address these concerns while streamlining your personal or business phone setup. Phone number parking, notification and forwarding services give you ways to get rid of physical phone services while retaining the associated phone numbers. What is Phone Number Parking and Forwarding? 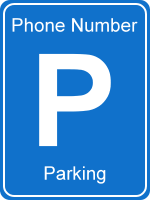 With number parking, calling the phone number no longer rings to any phone. But it also is no longer assigned to anyone else. You are still the owner of that number. Inbound callers are directed to a message letting them know that your number is parked so they do not ring through to the wrong person. With this type of service, callers receive a message but are also allowed to leave you a voicemail. This voicemail is then forwarded to your email so that you can respond as you wish. This is the most robust version of these services whereby incoming calls are forwarded to another number of your choosing. Some service providers offer these functionalities for faxes, toll-free numbers and mobile phone numbers in addition to landlines. When Does Number Parking Make Sense? The first situation that comes to mind when people think about phone parking services is simply when a home landline is canceled. People can save money and avoid the hassle of having another phone that they realistically don’t use much anymore. While that certainly is a viable reason to consider parking or forwarding services, today’s society offers many more. When you move from one home to another in the same local area, you might have a gap in between when you leave one place and are able to get into your new home. In this situation, parking your number for a short time is a great way to avoid losing it. If you move to a different area but don’t want to lose contact with people who have and use your current landline number, parking with notifications or forwarding can be a great way to stay in touch. Moving a business can put you in the same situations as above but with some serious side-effects to your bottom line. Missing customer phone calls can literally mean losing business. These services offer an inexpensive way to guard against that. Tying up the loose ends after someone dies can take time. Forwarding a phone number can help ensure that you receive all communications necessary to help you do this while eliminating the ongoing cost of maintaining phone lines that are no longer required. Businesses that want to lower costs without sacrificing their productivity and ability to serve customers often find that phone number parking features can be a big advantage. Eliminating costly phone hardware and expenses makes more money available for other areas of the business. In this case BYOD (Bring Your Own Device) type scenarios are created where business calls are simply forwarded to personal cell phones. Phone number parking and forwarding can offer great cost savings and efficiencies for people in both short-term or long-term situations. There are many different companies that offer these services. Number Barn, Park My Phone and Number Garage are just a few that provide some insight into the range of features that are currently available. Number Barn can not only park or forward based upon an already existing number, but it can help you obtain a new number for these purposes as well. In this way, it is able to compete to some degree with other more traditional VOIP service providers. In addition to parking, forwarding and sending voicemails to your email, Number Barn allows you to choose whether your inbound caller ID displays the original caller’s ID or your Number Barn ID. For users with multiple numbers in a Number Barn account, this is a great feature. Some plans even allow SMS texts to be forwarded to email. With no-contract plans, Number Barn charges a flat $5 setup fee no matter which plan you choose. Basic parking is $2 per month per number and full forwarding with an unlimited number of minutes is $19 per month. Park My Phone does a great job of not only managing phone calls but also faxes. These can be sent to email or to another fax line. It's basic park plan, called the Deep Freeze, is $5 per month. It also manages mobile and local numbers in both local and toll-free formats. Plans with toll-free numbers require a minimum 6 month contract. Number Garage works with landlines and mobile numbers in all 50 states and can accept Canadian numbers for people residing in the U.S. It's no-contract plans have some pretty steep activation fees ranging from $22 to $55. Park-only services are $4 per month and a 3,000-minute plan with forwarding is $33 per month. They do offer bulk packages for businesses with more than 5 numbers in a plan. As with VOIP and other virtual phone number services, providers of these services package their offerings in unique ways so that it is important for you to do your homework when investigating these options. Before you decide that phone number parking could be good for you, it’s wise to take stock of your current phone costs and usage. How much do you really rely on a certain phone? What benefit do you receive from it? Evaluate these outcomes as much as you do the actual providers, plans and costs. We live abroad and parked our phone January, 2016. I can't seem to find how to connect it now. Can you help? -> Response: There is no easy way to find that unfortunately. Can you tell from credit card bills? However, if you now want to use it, if you choose a provider and start the porting process they will move the number for you. If I PARK my number, how difficult is it to move it back? -> Response: It is usually not difficult though sometimes will involve a small fee to port it over to your new provider. There are mobile providers that allow you to port numbers there. Get a cheap used mobile phone on ebay or use your old one, port the number and pay about $10 - $15 to get unlimited minutes (sprint & tmobile MVNOs are cheap). Then, forward the number to whatever number you want. What is the call quality like when using a parking service with forwarding? -> Response: The quality is very good. Normally these types of service use a PBX so the call comes in and is switched back out to the phone number you are forwarding to. The entire stream is digital so there should be no degradation in call quality. This article is comprehensive and to the point, except that the main issue is never discussed: do you have to keep your number? In my case I have a fax that I have not used for the last 10 years, but I don't want to lose the number. If I park this number, do I have any guarantees that it will be available to me later on to transfer perhaps to a cell phone or bring back to the home line? This is really the issue, to keep the number but I found no definitive answer to this question in your article or elsewhere. Thank you. -> Response: You can give up your number at any time and it will be released back in to the number pool. However, if you are using a service to park the number it prevents the number being released as excess inventory and it is essentially yours to keep. You can then unpark at any time by porting it over to a new phone provider, for example for your home phone line or fax. You could potentially move it to a cell phone too.